Nice rollers. Installed easily after watching the video on how to do it. My garage door is much quieter and I suspect there is much less load on the garage door opener now. Got these after the great storm in Atlanta. Put them in yesterday. Good quality, half price of big box stores, and an easy job to complete. 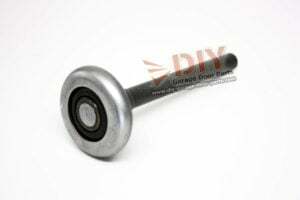 I bought the nylon 13 bearing rollers for my garage door. I received them in 3 days. I watched the install video. Before installing, I cleaned the rails, and pivots using a solvent. My garage door is a double door, and pretty heavy, but I was able to change all the rollers by myself. After the install, I used white lithium to lubricate all pivots and roller stems like the video says to do. The door is now very quiet when opening or closing…no more squeaks, squeals, moans or groans from the motor. With the old worn out metal rollers, the motor lift was really slow….now with the new rollers, the door lifts quick…like when it was new. The entire job took me about 2 hours, but an hour of that was the pre-cleaning, I highly recommend these rollers. The video on changing rollers was very good but I was concerned about deforming the tracks on my door with channel lock pliers to extract the rollers and axles. Fortunately my good friend George Trax, who lives nearby had just finished installing new rollers from DIY on his two 8 ft doors. He did the first just like the video shows but, on the second, he elected to unbolt each bracket, change the roller, then re-install. It takes more time, but using a light-weight 12 volt cordless hammer drill to remove and replace the bolts makes for a quick and easy job with no track bending. Do-It-Yourselfers don’t charge by the minute. I did my 16 ft by 8 ft. single door in under an hour with no distorted tracks. I was really impressed with the quality of the rollers and bearings. The wife reported the door is now so quiet, she can no longer hear it opening or closing. Nice web-site, product, and service. Thanks. Much better quality than what’s available at the home improvement stores. Very satisfied with the rollers, the price, and the quick shipping. Kyle was very courteous and knowledgeable. Would highly recommend this business for parts and information about garage doors. I was surprised at how quickly the rollers showed up. I installed all ten in about 15 mins following the online video instruction. 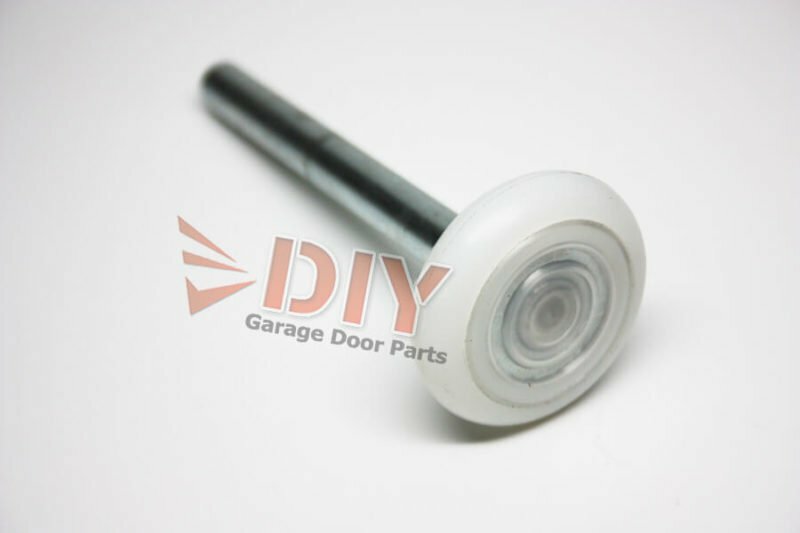 If you are ordering these rollers simply to reduce the noise of your garage door opening and closing, like I did, be aware that just replacing the rollers will probably not give you the entire benefit your are looking for. Make sure you order some garage door lubricant and lube all pivot points and the torsion spring. After installing the rollers my door was much more quiet, but after lubing the pivot points and the torsion spring the noise is almost non-existent. My wife says, “it is creepy how quiet the door is now.” My kids no longer wake up at 5:30 in the morning when I leave the house. I am very pleased with the rollers and online instructional videos. I was able to do the entire job for $35. Not too shabby. My garage doors had plain nylon rollers with no bearings and it sounded like they were self destructing with every cycle of the garage doors. I bought these 13 bearing rollers and it made both doors much quieter and smoother during operation. I was quoted $160 for inferior parts (just parts!) from a local garage door place and they were reluctant to sell them to me. 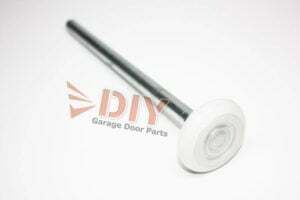 I bought higher quality rollers from DIY Garage Door Parts for a fraction of the price. I will be buying all of my garage door parts here from now on. Installed a complete set of 13 bearing nylon rollers to replace the steel ones on my heavy double-wide wooden garage door. Cheapest estimate for installed rollers from a reputable company that I’ve used before was $138. One of the steel rollers was totally devoid of bearings. 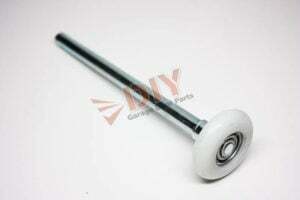 Rollers arrived quickly and installed before major damage could occur to the door from the worn-out roller. Installation was exactly as described in the video. Door is now very quiet. My neighbors send their thanks! Installed all 10 rollers on my door in under 20 minutes after watching the helpful video. These rollers are much better than anything else at the local hardware stores and much cheaper. High quality rollers and great price. The DIY video was helpful and made the installation very easy. I bought a new garage door that i thought came with nylon rollers. To my surprise it did not. Anyhow the installer wanted $200 for parts and labor or $100 just for rollers. They were going to sell me 11 ball bearing rollers. I found diy-garage-door-parts.com and found these 13bb rollers for $2.40 each!!! Crazy. I watched the video but actually bending the track made me nervous so i just unbolted each bracket and slid the roller in one at a time. It took me maybe 30 minutes I did put all the new rollers on a piece of cardboard and lubricate them prior to installation. The noise is reduced significantly from the metal rollers. I have a 6’6″ door and low overhead so my track has a sharp bend or pitch? Anyhow, the noise i get is from the door actually dropping onto the horizontal part of the track after the bend. Having said that the Nylon rollers do help. Id say a 50% reduction in noise. Please note my door,track, and opener are all brand new so i cant speak about an old door and track. I bought nylon rollers 13 ball bearing along with door spray I cant believe how much better my door works and how all the noise is gone. I was ready to buy a new garage door but ran across dyi website I’m glad I did had all the rollers replaced and door all sprayed up in around 30 min and shipping was fast had everything in two days. Purchasing transaction was flawless and I received quality parts at a reasonable price. I purchased the nylon 13 bearing sealed rollers. Watched the installation video. Very easy to install if you’re mechanically inclined. My garage doors are just like new and very quiet. I would not hesitate to buy again! Very fast shipping! I’m totally satisfied and impressed!